Unique vocal interpretations of a wide range of music in a jazz style. complex runs sound accessible and effortless. with a subtle Latin feel. a really nice surprise ! While searching for "Hello it's me" (my fav Todd Rundren song) I came across many "covers" , I poked around and came across this version. I was like WOW !!! how Cool, ....so I listened to a few more cuts and just bought it. This is an AWESOME CD!, I am a singer-musician and so is my husband and we really appreciated the arrangements & the musicianship . I really love Gales voice. So easy to listen to. It's refreshing to hear a singer just SING a song and not try to over complicate things. Sometimes you come across something very special not even looking for it ! This is a fine listening experience. Gale Cruz has that kind of voice that stays with you. A very rich lovely tone that wraps around each song as she gently makes it her own. But Gale is just one of many fine musicians gathered at this very elegant party where each participant makes their talent shine. Sit back and relax and enjoy this ride. The seatbelt sign is off. Thank you Ms. Cruz for inviting us to your party. What a pleasure it has been. Beautiful collection of music performed by a very talented crew. Gale Cruz has that kind of voice that haunts your memory with it's rich tones as she gently makes each song her own. Best of all she is performing with a very talented group of artists and each one shines at this elegant party. Sit back and relax, the seat belt is definitely off on this beautiful flight. Thanks for inviting me to your very memorable party Gale. A great mix of fast-paced and smooth jazz. Looking forward to hearing more. Keep em coming Gale! Such a refreshing recording! 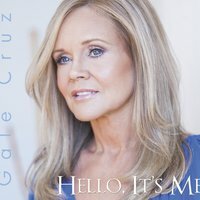 Somehow Gale Cruz has managed to take this collection of songs that were amazing to begin with, and taken them to yet another level! Outstanding performances that are nuanced yet seemingly effortless. It's so exciting to hear some new music that doesn't sound like everything else! Well done! From start to finish, this CD is on FIRE! Absolutely brilliant! A very pleasing collection of standards produced by professionals, highlighted with the vocals of Gale Cruz. I'm fortunate to have had Gale narrate my Audible.com book, so I knew her CD would be good before I even pressed the Start button.